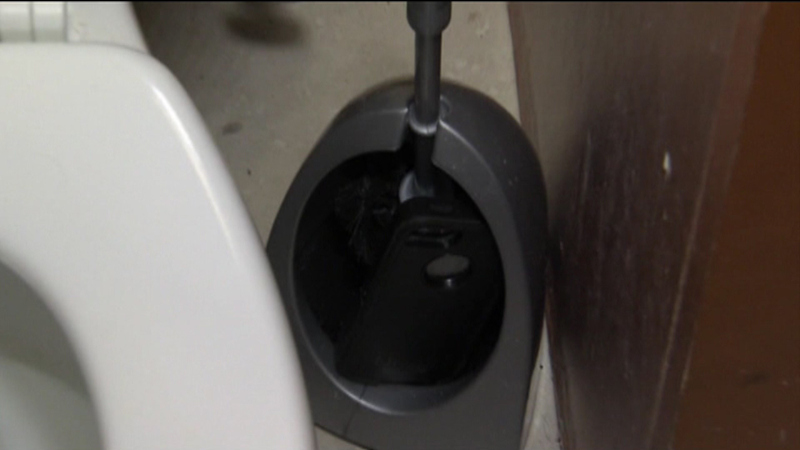 The woman says she found the phone in the brush bowl holder next to the toilet. MILWAUKEE, Wis. (WLS) -- A Milwaukee man is accused of hiding a cell phone in his bathroom to record his roommate as she gets out of the shower. The woman says she was recorded more than a dozen times. She says she found the phone in the brush bowl holder next to the toilet. She looked through the phone and found the man's face in the first frames of each clip. Her roommate has not yet been charged, but the district attorney is reviewing the case.